It's only natural, with the approach of the Indianapolis 500, that the attention of many focuses on those drivers that have achieved the greatest amount of success at the corner of 16th and Georgetown. This year, four previous winners of the '500' are scheduled to participate: Three-time champions, Helio Castroneves and Dario Franchitti, as well as one-time winners, Scott Dixon and Buddy Lazier. But at the opposite end of the spectrum, there are some very talented first-time entrants in this year's race that deserve there own measure of recognition. On the eve of qualifications for the 97th running of "The Greatest Spectacle in Racing," take a moment to meet this year's crop of fast learners--the rookie class of 2013--because everyone needs a rookie to root for. Who's your favorite? 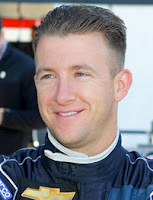 The scoop: Allmendinger left a promising career in the ChampCar Indy car series (5 wins) to pursue NASCAR, where he would record 29 top-ten finishes and two pole positions. He's back in Indy cars, on a part-time basis, with his former stock car owner, Roger Penske, in an effort to resurrect his racing career after violating NASCAR's drug policy. Allmendinger continues to race Sprint Cup, part-time. The scoop: Son of former Formula One and Indy car driver, Derek Daly, Conor grew up in the shadow of Indianapolis Motor Speedway. He's poised to realize a lifelong dream by qualifying and racing in his hometown event. Daly also aspires to reach Formula One and is competing full-time in the European junior formula, GP3. The scoop: After honing his craft in multiple European-based series, Munoz moved to the Firestone Indy Lights series in 2012, finishing 5th in the championship. 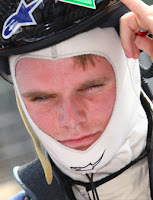 He is currently leading the 2013 Indy Lights points, notching two wins, thus far. 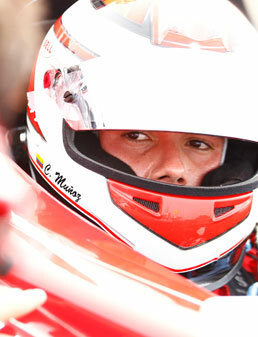 Early signs indicate Munoz is aggressive on the Indy oval and should be fun to watch, going forward. The scoop: Vautier brings an impressive resume in the Mazda Road to Indy ladder system to this year's '500.' 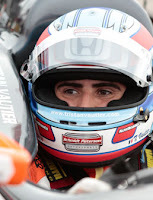 He won the Star Mazda and Firestone Indy Lights championships in successive years and has already shown impressive speed in his rookie year in the IndyCar series. He and his SPM teammate, Simon Pagenaud, comprise two-thirds of IndyCar's three-man "French Connection."